– Generally sufficient for excess household goods or furniture, tools, bicycles, small equipment such as a lawn mower or motorbikes. – Generally sufficient for the contents of one bedroom apartment or condo, quads, motorcycles or snowmobiles. – Generally sufficient for the contents of a two bedroom apartment or condo, or to park one vehicle. – Generally sufficient for storing the contents of a two bedroom house. 10'x30' (9.8' wide x 7' high door) – The largest units in town! – Generally sufficient for the contents of a four bedroom house, or to park two vehicles. These trailers are BRAND NEW – Guaranteed air-tight and waterproof, the ultimate protection for your valuables. Secured, fenced, outdoor storage for your vehicle, RV, trailer or boat. We offer a clean, secure, well-maintained, well lit, gated facility for residential, commercial, automotive and RV storage. All of our units are mildew, mold and rodent free. We have a large variety of unit sizes, with very economical monthly rental rates. We not only have the best rates in Camrose, we also have the largest units in town. 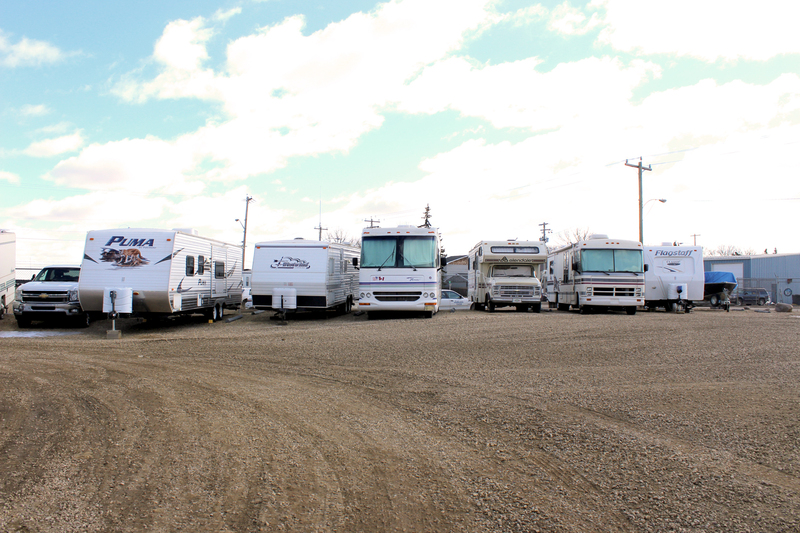 Our maximum sized units provide a substantial 10'x30' of spacious, safe and secure storage. Clients have drive-up access to their units around the clock. Call us today – we have the storage solution for your needs! Copyright ©2019 Aero Storage . All Rights Reserved.